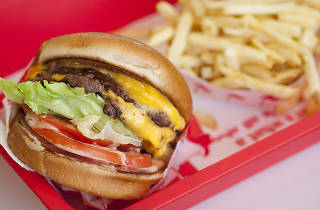 Who slings the best burger in Los Angeles? Vote for your favorite, then taste your way through the best at our very first Time Out L.A. Battle of the Burger. Burger fanatics, WE NEED YOU. L.A. revolutionized fast-food burgers and then elevated the dish to gourmet heights, and it's only getting better. So in this burger capital, we're looking for the absolute best. 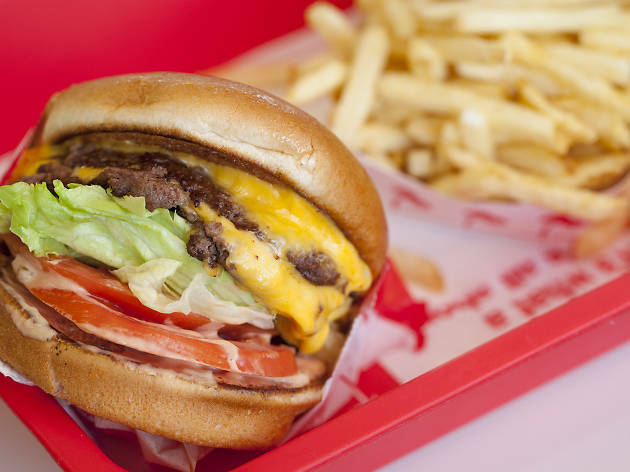 Think the title should belong to the cult-classic Double-Double? What about Animal's juicy short-rib patty dripping with bone marrow and cheese? On our list of 50 finalists you'll find a burger for every patty-loving Angeleno, but we've got to narrow it down. Help us decide, then we'll announce our finalists and in September, you can taste your way through the city's best at Time Out L.A.'s first ever Battle of the Burger. Fancy yourself a burger connoisseur? Vote on your favorites here, from the griddled patties by L.A.'s classic burger shacks to decadent options sporting the most rare and mindbogglingly creative ingredients. The title of L.A.'s best burger is in your hands—with great power comes great responsibility, so choose wisely and follow your gut, naturally.